On Wednesday, March 22 at 6pm in Wyly Auditorium the Waggonner Center will host a screening of the documentary film Starving the Beast. This film examines the philosophical shift that has turned higher education into a "value proposition" for the student as a consumer, rather than an investment on the part of the state for the "public good." Starving the Beast documents the philosophical underpinnings of this process as well as the results: higher tuition, more student loan debt, and the commodification of education. The film studies how this issue has developed at six public universities including the University of Wisconsin, the University of Virginia, the University of North Carolina, Louisiana State University, the University of Texas, and Texas A&M University. Starving the Beast made its world premiere at this year's SXSW festival, and has garnered rave reviews and coverage from the Hollywood Reporter, Huffington Post, and Inside Higher Ed. 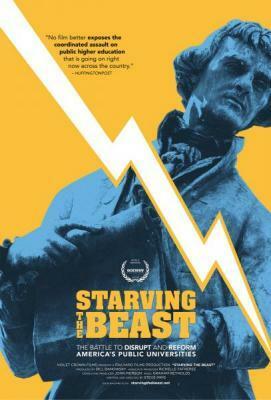 This screening of Starving the Beast is free and open to the public.